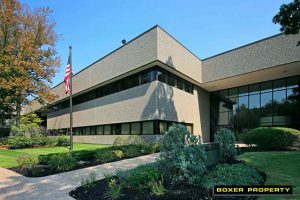 August 10, 2016 (Boxborough, MA) – Boxer Property announced that it has concluded lease negotiations with IDSS Holdings, Inc., a defense and security solutions company. They have extended their lease for 1 year and expanded their space from 2,778 RSF to 6,427 RSF at 85 Swanson Road in Boxborough, MA. Leasing Agent, Sam Carrion, negotiated the lease on behalf of Boxer Property and dealt directly with IDSS Holdings, Inc. The renewal and expansion deal marks the first Boxer Property lease deal in the Boston market . 85 Swanson Road is a first class office building located off I-495’s Exit 28 on Route 111. This two story building has a total of 96,933 square feet of office space. The property consists of two set-back entrances with separate reception areas and atrium lobbies. The property provides on-site leasing, management and maintenance. Other amenities include ample surface parking, five dock-high loading doors, and two passenger freight elevators. Suites come internet ready and tenants are provided drop boxes for convenient shipping. IDSS Holdings, Inc. is a provider of defense and security solutions. Their marquis product is the DETECT™ 1000, an advanced security scanner for airports and facilities that automatically detect threats within baggage and parcels. IDSS also provides government services and biometric solutions for a variety of applications within the United States and internationally.